Our goal is to provide quality products and service that meets the needs of our customers and the communities that rely on them in an honest and ethical manner that achieves customer satisfaction, protects the environment, and provides a reasonable return to our shareholders. 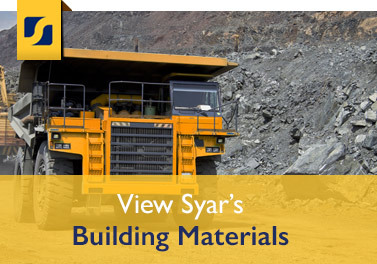 Our products include rock, sand, gravel, readymix concrete, and asphaltic concrete that Syar produces by mining, processing, and/or recycling. We strive to be distinguished from our competition by supplying products of consistently good quality at facilities that are strategically located, and by maintaining a talented and engaged workforce who spend time evaluating and improving our plant equipment and processes in order to be energy efficient and environmentally sensitive. 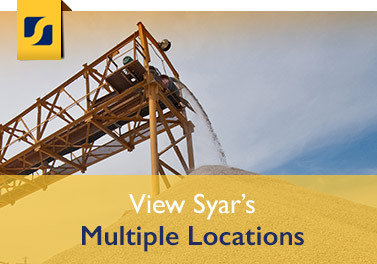 Syar offers a variety of rock, sand and gravel products from each of its four aggregate plants. Syar Industries provides premium asphaltic material including recycled, rubberized and EZ Street cold mix. Syar Concrete has an assortment of options to meet your specific need in locations all around the Sacramento and Bay Area. 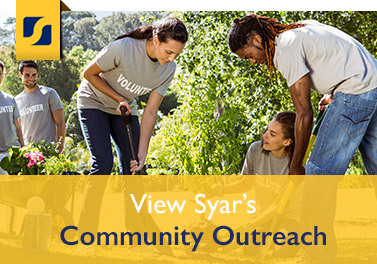 Syar cares for the environment by utilizing recycled resources in aggregate, asphalt and concrete.